Some of you may be saying, WHO? Dave Volek? I expected to see names like Ovechkin, Subban, Giroux, or Hartnell but ... Dave Volek? Yes Dave Volek made me cry ... in public ... and I hate him. I have to give some back story to why this one insignificant NHL player was the first one I wanted to write about. 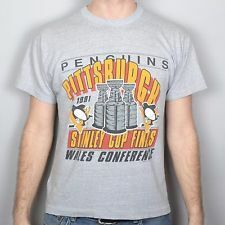 It was the 1992-93 NHL season and the Pittsburgh Penguins were back-to-back Stanley Cup Champions. We had Lemieux scoring on an inhuman level, we had Stevens on pace for a 50 goal season, and we were top in the NHL and to cap off the season we won an NHL record 17 in a row. The 1992-93 season ended and the Penguins won the President's Trophy (most points in the NHL) and Lemieux won all trophies ever. He won the Ross, Masterson, Hart, Pearson, and the Plus/Minus Award that year as well as racking up an astonishing 160 points in 60 games. On top of all that he took 2 months off announcing that he had cancer, then came back and dominated the entire league while receiving chemotherapy. In fact, after his last treatment he hopped on a plane and suited up for a game against the Flyers putting up two points earning himself a standing ovation in PHILADELPHIA. Everyone in a dizzying mixture of confidence, arrogance, and statistics the entire city had the Penguins winning a 3rd Cup as gospel. It was what we deserved, it was our destiny. What we didn't know is that we were spitting the in face of the Hockey Gods. Yes, we were this confident. The post season had us matched up against out Patrick Division rivals the New Jersey Devils. They were a strong team that year but the power-house Penguins took care of them in 5 games (including a 7-0 spanking in Game 2). The Penguins fan-base expected nothing less as we looked forward to an easy series against the Islanders, a team with just as many points as the defeated Devils. When the Islanders series began we didn't count on (then) rookie Darius Kasparatis completely shutting down the most dominant man in the NHL. Mario was held to only 3 goals in the entire series which were very un-Lemieux like numbers. The series went back and forth (literally) with the Islanders taking a close Game 1 and both teams exchanging wins taking the series to 7 games. Barrasso looked rattled and broken after a career season for him and the Penguins high caliber offense was stagnant. Game 7 was upon us on a cold and rainy May 14th of 1993. I remember it so vividly. In the Pittsburgh area most schools from Kindergarten to High School seniors went on a day-long trip to Kennywood Park. It was one of the most anticipated times of the year with dozens of social factors attached to it. You had to pick an outfit, friends, and a date for the night time. Kennywood was Wrestlemania for any kid in the greater Pittsburgh area. You arrived at 10 am and left at 10 pm parent-free and hormonally charged with poor decision making and fueled by junk food. It was getting dark and the lights on the rides burned patterns into the navy blue sky. 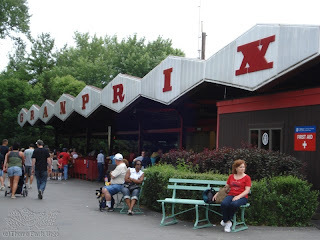 My friends and I were going to meet a group of girls by the bumper cars and we wanted to be fashionably late by starring at the Music Express' gaudy light show As soon as we got there and met our "dates" for the night Mike Lange's identifiable voice took over Kennywood park squeezed trough tiny P.A. speakers sprinkled throughout the park. As the night pushed on and the sky faded to black the game moved forward. Everyone walked around the park with half of their dedicated consciousness invested into the game. The hatred of Darius Kasparatis was palpable and Mike Lange was crafting this magnificent story making you spit venom with the simple mention of Kasparatis' name. The game was tied at 3. People around me looked sick. The immortal, unbeatable, Cup favorite Penguins could actually lose. I took comfort in local chatter about Mario, Jagr, Francis, and Stevens having the passion and desire to win this game siting the amount of talent we had on the roster there was NO WAY we could lose this game. I had to meet my parents soon at the Thunderbolt to annually beg them for another hour of ride riding. As I was in the middle of a line to ride the Turnpike. It started to rain, and some guy next to me looked up at the star-less sky and muttered Mario's got this. It became my mantra as I whispered it quietly to myself over and over. 5 minutes and 16 seconds later, this happened. People around me looked sick. How could this have happened? The whole night felt cinematic as the rain came down a little harder scattering my friends to their rides home for the night. I stood by the little gray cone speaker and listened to Mike Lange pull himself from disbelief and declare the New York Islanders the winner of the series. I looked around me for answers and I saw heads hung low and consolatory hugs as the cold rain dripped from the edge of my nose. It was a perfect storm of emotions for me and the rain was a perfect disguise for my tears as I took a long, wet, solitary walk to the Thunderbolt so I could go home. Having never heard of Dave Volek previously to that goal I read the newspaper the following day (yes, that's how things were done then) to see his name. I whispered Dave Volek under my breath and narrowed my eyes. I had one person to focus all of my misunderstood emotions on and I vowed to hate him for the rest of my life. After that series, the Islanders were handled by the future Montreal Canadians in 5 games to eliminate them from the playoffs. Dave Volek's back exploded (herniated disk) shortly after forcing him to retire from professional hockey for good and over time his name was tied to that one goal in that one game against seemingly insurmountable odds. Obviously I've never forgiven him for doing his job as a professional hockey player and as of this writing it was almost 20 years to the day that this took place I should have moved on, but on that particular night I was crushed and it left a little tiny permanent scar on my heart.